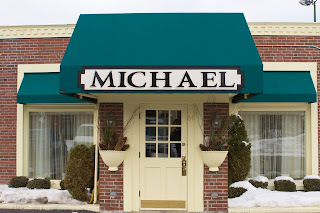 To kick off spring, Restaurant Michael (64 Green Bay Rd., Winnetka; 847-441-3100) is offering a special prix-fixe three-course dinner during the months of March and April. Beginning today, Thursday, March 12, this “French Silver Service” menu is a three-course selection from Michael’s a la carte menu. The entire table chooses from three appetizer selections, three entrée selections and two dessert selections. Each course is served tableside, and includes seasonal vegetable selections as well as creamy pomme purée and sauces. The meal kicks off with warm Gougeres (cheese puffs), and ends with Grand Marnier Chocolate Truffles. The prix-fixe deal is just $29.50 per person plus tax and gratuity, offered Tuesday, Wednesday, Thursday and Sunday. Join Michael for Easter Sunday brunch, offered 11 a.m. until 2:30 p.m. Sunday, April 12. The special three-course menu is $39 for adults, $19 for children under 12, and children three and under eat at no cost. Later in the day, celebrate Easter dinner from 4:30 p.m. until 8:30 p.m. at Restaurant Michael. The special three-course dinner menu is $49 for adults, $25 for children 12 and under, and children three and under eat at no cost. Tax and gratuity is not included. For wine lovers, Michael will be featuring a special wine list, highlighting bottles under $35 and wines by the glass at $8 or less, the perfect way to try new wines without breaking the bank. Restaurant Michael, the North Shore’s source of true French cuisine at a remarkable value, understands the importance of offering high-quality cuisine at an affordable price. 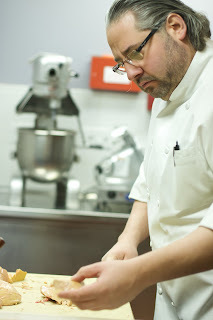 Chef Michael Lachowicz, executive chef and proprietor of Restaurant Michael, has been enthralled with cooking since the age of three. While attending the prestigious Culinary Institute of America, Michael was introduced to the kitchen of Maxim Ribera, a member of the Maitre Cusinier de France. Michael studied under Chef Ribera for two years before returning to Chicago for a three-year stay at Le Francais in Wheeling, Ill. Michael also opened the highly-regarded, four star restaurant Les Deux Gros in Glen Ellyn, Ill. The restaurant received countless awards and accolades, including Restaurant of the Year in 2002 from the Chicago Sun-Times. They received three and a half stars and “Chef to Watch” from the Chicago Tribune, three stars and ranking of number 11 of 20 in the top restaurants from Chicago Magazine in 2002. For more information, visit http://www.restaurantmichael.com/ or call (847) 441-3100.